What Does IT Support Cost? We'll cover your computers. We'll support your server. We'll monitor everything, back up everything, and if a fire does flare up, we'll put it out. We're your full service, on call IT department. 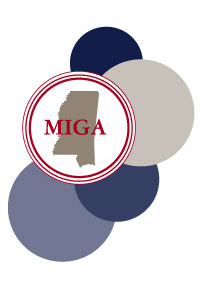 "The Mississippi Insurance Guaranty Association is a unique small business. Chris Chamberlin has been a vital resource to our business for the past seven years. Because of Chris' knowledge and expertise we have never worried if our IT needs will be met. Chris is wonderful to work with and always treats us as if we were his largest client." "Peak Solutions has been a great company to work with for all of our IT needs. Because of their work, we have updated to the newest version of Officemate, and the transition was smooth. They have extensive knowledge of the systems necessary to run a paperless practice and can make recommendations for any office looking to update software as well as equipment. They worked tirelessly with Officemate to fix the bugs that occurred when we made the transition to Officemate 10. Peak handles all of our computer and IT needs quickly and efficiently. Their cost structure was reasonable, and they can be trusted to be the "go to" persons for all computer, software and IT needs in an optometric setting. I highly recommend Peak Solutions." - Arthur "Reggie" Dampier, Jr., O.D.